HARTFORD -- Among 82 recommendations on how to better prepare for major weather events, the governor's Two Storm Panel on Monday suggested major changes in the way Connecticut regulates electric and telecommunications providers. Joseph McGee, co-chairman of the eight-member panel that ended its work with the issuance of a 39-page report, said after the meeting that the state needs to flex its authority over the utilities. It's critical that wireless telephone providers have backup generators for their towers, he said, while electric companies, including United Illuminating and Connecticut Light & Power, should be held to higher performance standards in restoring power by the state's Public Utilities Regulatory Authority. "It's clear on a lot of their compliance orders that once they issue them, there isn't a lot of follow-up," McGee said. "We are recommending an enforcement division of people really assigned to enforce their compliance orders. We feel that's extremely important." Labor relations between union workers and CL&P management should be improved as well, the report said. McGee told reporters that the relationship between management and labor is "toxic" at CL&P. Although Gov. Dannel P. Malloy first received the report last Thursday, he plans to wait until later in the week to pinpoint issues for either executive orders or for recommendations to the General Assembly in the upcoming legislative session. 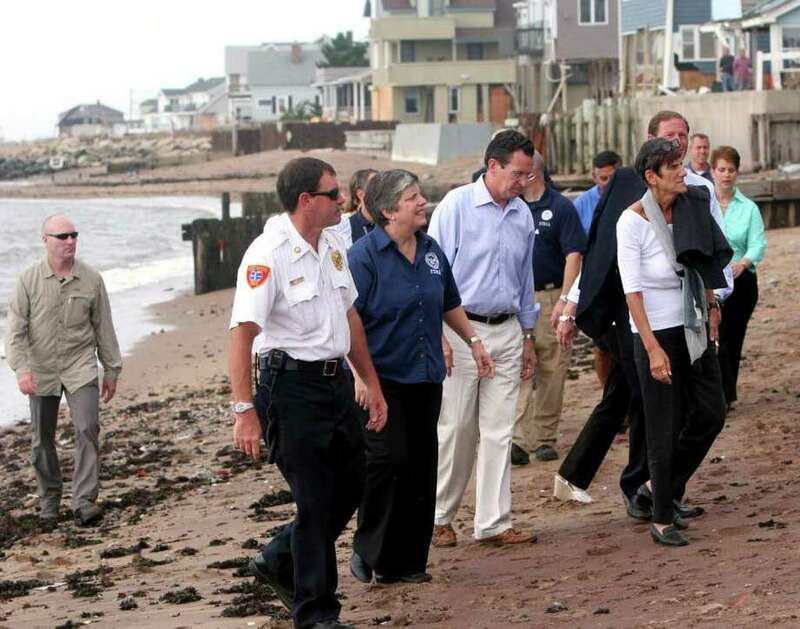 "There is a certain reality that comes with the trend in climate change that we have to be better prepared for the future," Malloy told reporters. "The utilities need to do a better job of responding and that's not just one utility or two, but all utilities, particularly with the advent of voice-over-Internet." Malloy hinted that he may support monetary penalties, similar to Massachusetts law, against utilities that fail to restore power within a reasonable period after major outages. The report said that while utilities improved in some areas between the late-August Tropical Storm Irene and the freak October snowstorm, "their preparation was still materially deficient." Hundreds of thousands of homes were left without power for up to 10 days after the Halloween weekend storm. Since the panel's first meeting in September, the issue of tree trimming has been a focus of much discussion, as utilities and state and local officials have discussed the balance between giving room for overhead wires and possibly putting more power lines underground so fallen limbs have less of an effect. "I just think that we let a lot of trees get too big, too close to the road and too close to wires, and I think we're in the process of rethinking that," Malloy said. "We have to be more aggressive in protecting our power lines." McGee said "the great public debate" will be over how much more consumers are willing to pay on their monthly bills to ensure restoration after outages. "CL&P did present, on the last day of hearings, a $2.2 billion investment in tree trimming and hardening utilities, and they claim there will be a 30 to 40 percent increase in resiliency" in exchange for a 10 percent rate hike, McGee said. "That's where we want to begin this conversation." Al Lara, a CL&P spokesman, said that the utility has been working to ensure that the state is prepared for the next big storm. "The report of the panel is extensive and we have begun our review of the findings and recommendations that pertain to CL&P," he said. Officials at United Illuminating declined comment Monday, stressing that they also want to digest the findings.